makeup organizer | Who Cares About Customers? Several years ago, I grew tired of having a dozen different eye shadow containers, so I purchased a Mary Kay® makeup palette to corral them in one place. The palette allowed me to snap the uniquely shaped Mary Kay eye products in and out and see all the colors available to me at a glance. Now, however, there’s a problem: Mary Kay has changed the shape of its eye shadow containers, so the new ones won’t fit in my palette. So, I set out in search of a new solution. Conduct an Internet search for the words “makeup palette,” and you’ll find several different designs. Some, like these Sephora makeup palettes, already come with the colors selected for you, and they don’t seem to offer you the option of replacing a color when it runs out. Mac Cosmetics allows you to build your own palette, but its product is expensive: $48 for a palette with four colors. Plus, you’re locked into using only that company’s eye shadows. After searching for more customizable options, I discovered the Z Palette, which allows you to mix and match eye shadows from different manufacturers. Its magnetic base allows you to insert and remove products easily, and metal stickers are included to help adhere products that come in nonmetal pans. The Z Palette comes in a variety of sizes, including some that are big enough for large blush and powder tins, as well as makeup brushes. Some buyers may also like its clear lid. The downside? The Z Palette is made from a cardboard-type materials. While this makes the product recyclable, it made me worry about its durability. I didn’t want to pay $14 to $25 (plus shipping) for something that would not hold up well over time. Finally, I found the UNII makeup palette. At $29 plus shipping, it wasn’t exactly cheap, but its design and flexibility made it the best option. The UNII palette’s packaging offers many helpful tips about how to use the product. 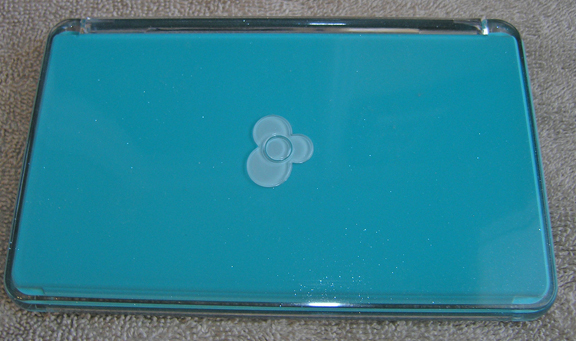 The plastic case appears to be durable and easy to clean. The UNII palette is made of hard plastic, giving me confidence that it will stand the test of time, even if tossed into a purse or duffle bag regularly. It should also be easier to clean due to its construction. Note the thumb grip on the left side. It can be repositioned anywhere on the palette. 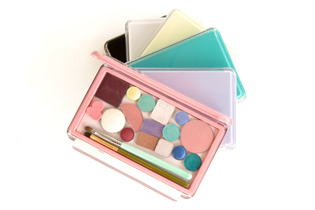 The UNII palette can hold makeup and tools from a variety of manufacturers, and it comes in six colors: pink, lavender, turquoise, black, white/clear and pale yellow. While you can’t see through the lid, it does have a mirror on the inside that spans the width of the case, making it easy to apply makeup on the go. Like the Z Palette, it uses a magnetic base to attach your makeup products and includes stickers you can use for pans not made of metal. The UNII Palette has a neat magnetic thumb grip that can be placed anywhere on the inside of the palette, making it easy to hold the palette with either hand. I also like the rolled-edge clasp that securely closes the palette. How’s UNII’s customer service? Great! I emailed a question about the product before purchasing it and received a quick response. The product shipped promptly after my order, and UNII sent me an email with a a few tips to keep in mind when my product arrived. My UNII palette was packaged in a classy box that included more helpful advice. After unpacking it, I found the product to be attractive and well made. The UNII’s biggest limitation may be its size. 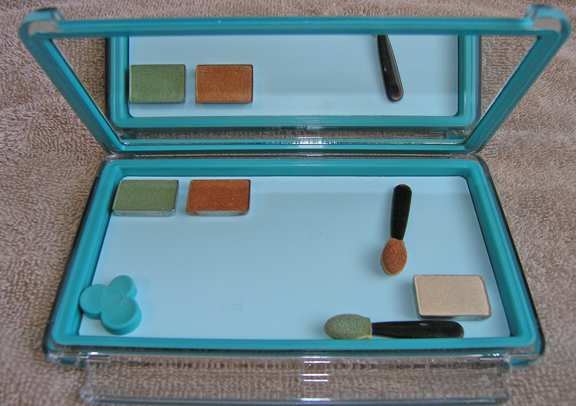 At 5.4 inches long and 2.8 inches wide, the interior may not hold all of your makeup products. The palettes come in several different colors. For me, this is not an issue, because I only intend to use it for eye shadow. It would take more than one palette to accommodate my blush, powder and/or lip products. It also may not be big enough to store all your makeup brushes. You could buy multiple palettes to house all your makeup, or use the palette as an on-the-go solution for makeup touchups or short trips. If you buy two palettes or more, UNII ships them for free. Shipping for my one palette was a reasonable $4. Have you tried UNII or another customizable makeup palette? Please share your experiences.